Call it the gun incident that will never die. Gilbert Arenas gave his twitter followers an introspective look at his personality Thursday night. 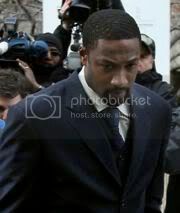 In the wake of Washington Wizards star Gilbert Arenas‘ court sentencing, I would like to know when athletes will learn that they are not above the law. This Gilbert Arenas/Javaris Crittenton gun mess has spun completely out of control and it’s certainly difficult to endure as a longtime Gilbert admirer. When the news came down last week that the League was investigating Gilbert Arenas for bringing a gun to team facilities, I joked that he needed it for protection from teammate Caron Butler. 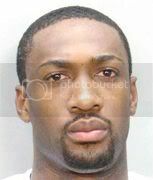 For the second time in his career, Gilbert Arenas is the target of a weapons possession probe by the NBA.